Jenna joined our team this summer and has been enjoying working with On The Move. Everyday brings new cute, furry, little critters into her world and it’s absolutely wonderful to get the honor of taking care of them. Jenna has two cats of her own and they are quite the little furballs. In her spare time she likes to read, cook, do yoga, and enjoy nature walks. 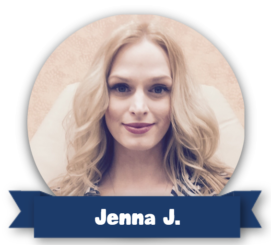 Jenna has had a passion for animals since she was little and she truly enjoys spending time and bonding with all of your furry loved ones!